I am SO pumped to debut the Foschetti wedding from this past October! The sincerest compliment to a vendor is another vendor's referral. I was referred to Joe and Jean through their officiant, Rev. Laura Cannon of Divine Transformation, who is one of my preferred vendors. Working as Joe and Jean's day of coordinator was a great experience for me and the wedding was a beautiful reflection of their style. I really felt like I got to know both Joe and Jean during the planning which always helps me pinpoint the important details of the big day. And what a day it was! 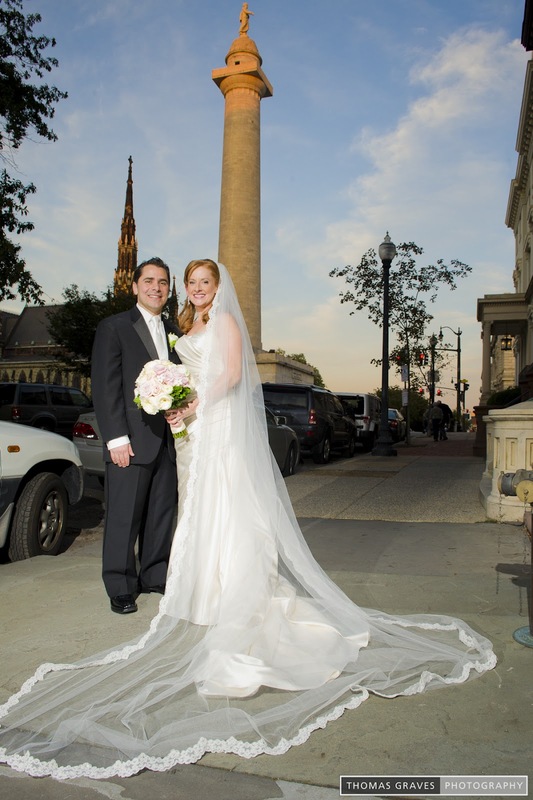 They tied the knot on a warm, gorgeous Sunday in October with the ceremony and reception both celebrated at The Engineer's Club at the Garrett-Jacobs Mansion in Baltimore's historic Mount Vernon neighborhood. Site contact Krystal Atkinson was so professional and accommodating at our site visit and rehearsal that I knew that the wedding day would be just as organized. 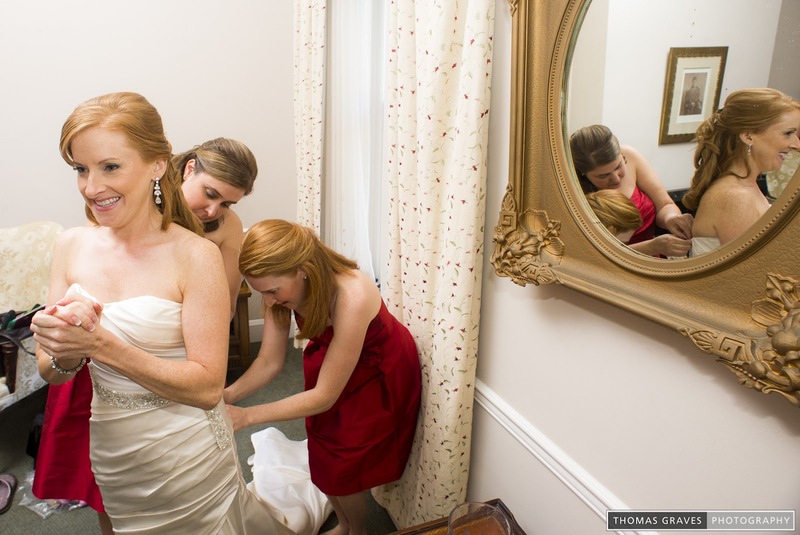 The bride and her bridal party's hair and makeup were perfected by Ashley and Steffani from Up Do’s For I Do’s, LLC. The groom & his groomsmen chose to get ready at the Peabody Court Hotel Downtown Baltimore which also hosted out of town guests and the rehearsal dinner while the ladies got ready on the second floor of The Engineer's Club. This elegant hotel is super conveniently located ONE block down the street from The Engineer's Club, which I loved. 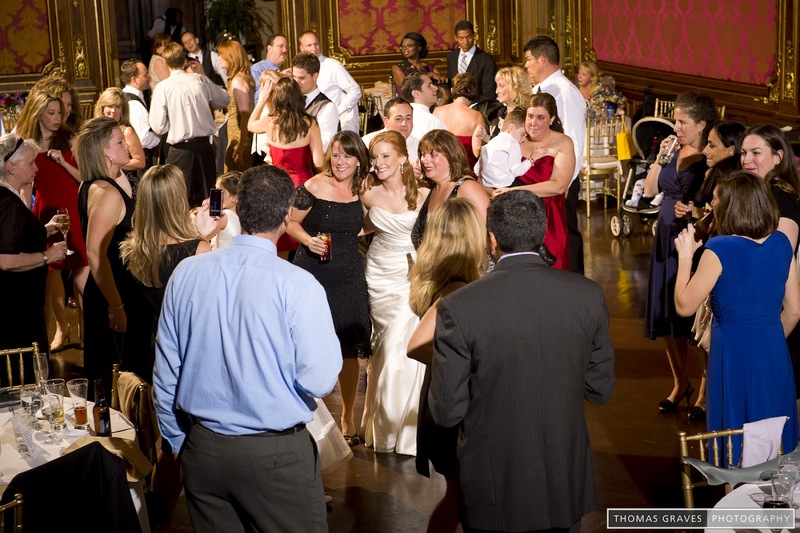 Having the whole wedding party in close proximity to each other and the site is a planner's dream by the way. 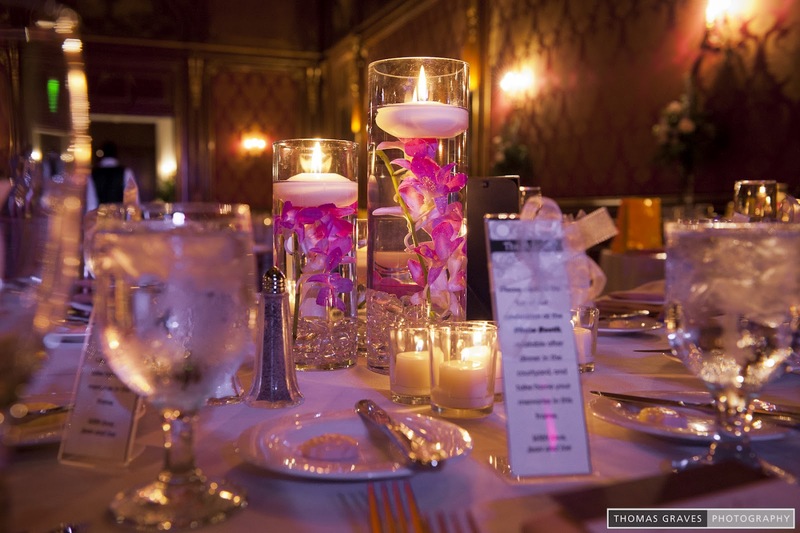 Thomas of Thomas Graves Photography excellently captured the entire day (see photos below). He and his wife (who was his assistant for the wedding) are the definition of a great team, be sure to check out his blog to get a great insight into his style. Having a wedding video was very important to Joe and Jean who chose videographer Jim of 5ive Star Media Productions to film their big day. 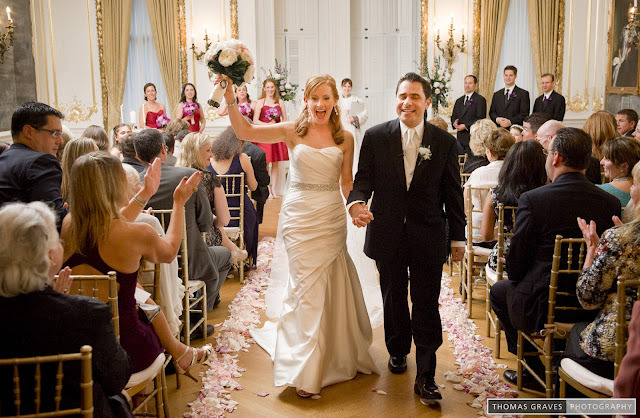 The ceremony was in the Drawing Room which was beautifully enhanced by the floral arrangements from Little House of Flowers. 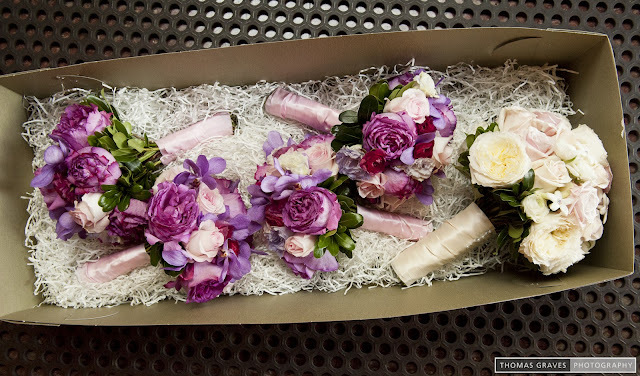 Owner Julie Upchurch took such care in her work and it definitely showed in the ceremony and reception flowers as well as the wedding party flowers. 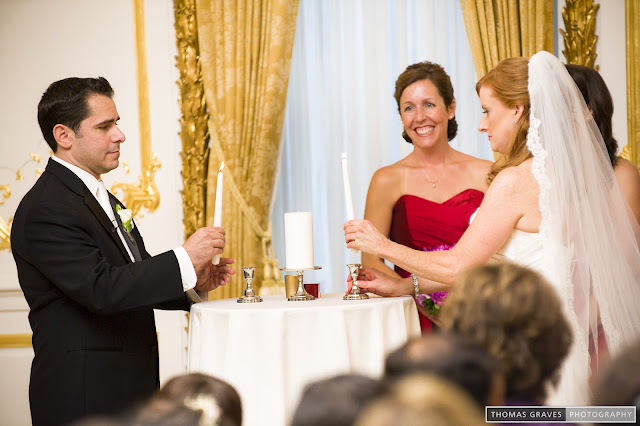 This couple definitely has talented friends, two guests sang as part of the ceremony which added such a personal touch. The cocktail hour was held in the open courtyard and illuminated by blue uplighting supplied by DJ AJ of AJ Productions, who ran sound for the ceremony and provided a great soundtrack for the cocktail hour and for the entire reception. The Engineer's Club staff provided a delicious dinner for the reception which was held in the Ballroom and the tasty wedding cake was from Sweet Bakery Baltimore. 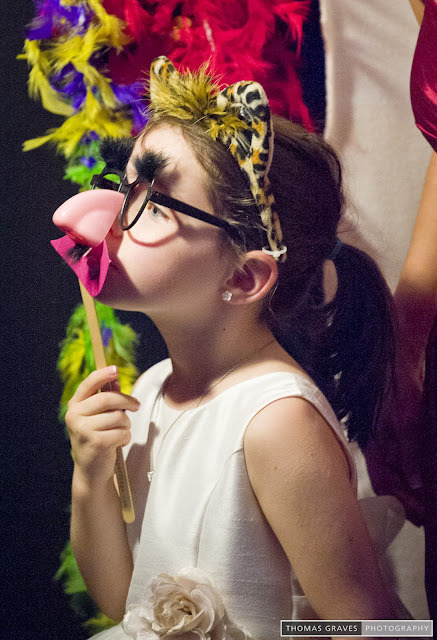 As a fun extra for guests, Perskie Photographics & Design provided a photo booth with props for the reception and the photos doubled as favors! Last but not least, I need to thank my amazing event assistant, Kellie O'Connor, who made my life easier with all her hard work. Once again, congrats again Mr. & Mrs. Foschetti, it was a joy to work with you both and I wish you a lifetime of love!